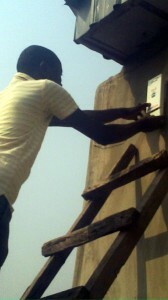 Michael Adeyeye has been a member of the Village Telco community since its earliest days. Back then he was a graduate student at the University of Cape Town but has since gone on to earn his PhD there. He is now a lecturer in the faculty of Informatics and Design at the Cape Peninsula University of Technology. 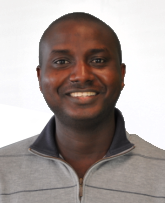 As a researcher, Michael has published papers on Village Telco and has volunteered his time in helping to deploy one of the first Village Telco test networks but more recently has set up his own Village Telco network in his home city in Ibadan, Nigeria.. The map shows the different Mesh Potato nodes in the network and strength of the links between them. Working through his own company, Asmicom, Michael partnered with colleagues in Ibadan to set up the Ibadan Wireless User Group. Asmicom’s goal is to transfer technical know-how to Nigeria and empower her youths. Their first project was to deploy a Mesh Potato network at a housing estate in Ibadan. The estate is home to a number of hostels for postgraduate students (studying at nearby institutions), offices and business centres. There are single family houses on the estate mostly occupied by their owners. The students, like the home owners, wanted a reliable way of communicating with one another. In addition, the organizations (which are mostly non-profit organizations) wanted an affordable communication service that could be used as an alternative to the costly GSM mobileservice. To make matters worse, the underground cables used by the Public Switched Telephone Network (PSTN) were recently uprooted by a government contractor, when tarring the roads in the estate. These are the primary reasons for providing a scalable, standards-based, and DIY (Do it Yourself) telephone system in the community. Most of the Mesh Potatoes are solar powered. 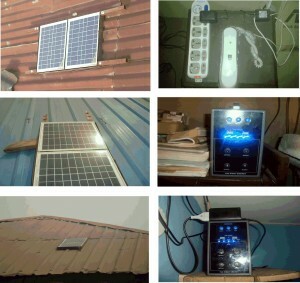 Michael has been using solar power units from a UK solar power startup called BBOXX. Their BB12 unit is ideally suited to powering a Mesh Potato in Africa as well as providing a power source for laptops and/or lighting. To the right you can see can see the BBOXXes in action. Those are 30W solar panels charging a 12 VDC 12AH battery. The blue LED lights on the front of the box indicate the charge level. And below on the left you can see the network installers in action. Friends and colleagues of Michael’s deployed the network. 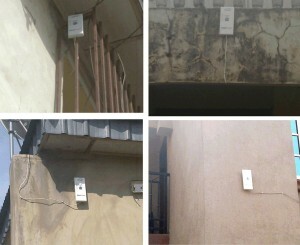 Raphael Adeyeye, Samuel Adeyeye, Oluyomi Kabiawu and Olumide Alamu all worked tirelessly to get the network in place. You can see Raphael in action on the left and more of the Mesh Potatoes deployed on the right. Mesh Potatoes can be mounted just about anywhere. We’ll check back in the coming months to find out how the network is growing. Kudos to Michael and the Ibadan Wireless User Group for providing the housing estate with an opportunity to choose an alternative communication services. This entry was posted on Monday, February 11th, 2013 at 10:27 pm and is filed under Blog, Mesh Potato, Village Telco. You can follow any responses to this entry through the RSS 2.0 feed. You can leave a response, or trackback from your own site.